Sometimes films land at a time that’s just so apt, so perfect that it’s a true stroke of luck. Take Contagion for example – the film about the deadly strain of influenza bat-derived virus. You may be thinking that it was commissioned because of the H1N1 outbreak, but you’d be wrong. It was just a happy co-incidence, as the film was actually sparked by SARS and the emerging H5N1 bird flu virus. You see? Right time – right place! Other films are less fortuitous and focus on hitting cinemas to coincide with something. And The Campaign is clearly one of those films. Ok, the film tells the tale that you pretty much expect it to: two men are campaigning for a Congressional seat on behalf of North Carolina. 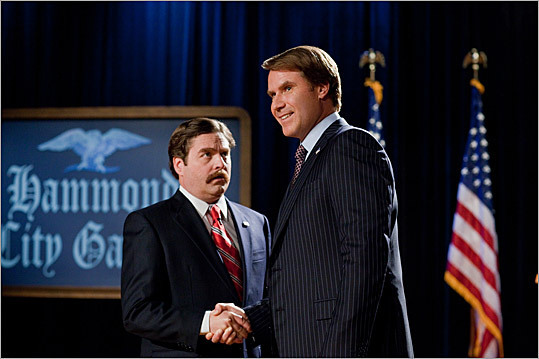 On one hand you have Cam Brady (Will Ferrell) – a career politician who’s a womaniser, liar and every other cliché you could throw at a politician. But he’s in charge. 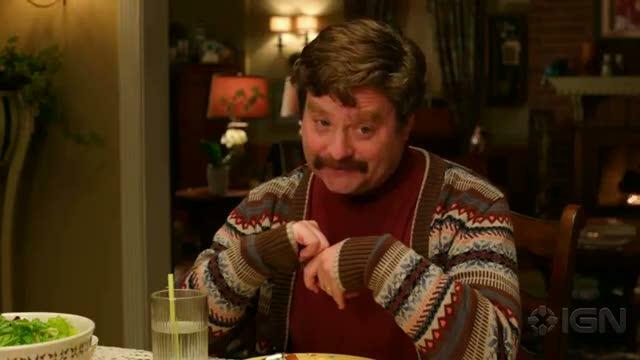 Then you have his opposition: Marty Huggins (Zach Galifianakis) who is quite a simple guy and embodies every other cliché you could throw at Zach Galifianakis‘ on-screen roles to date. All of this electoral hoopla is controlled by “the man” and the “big corporations” embodied here by Dan Akyroyd and John Lithgow – the Motch brothers. Has this got you excited yet? What if I say there are a hell of a lot of big names that make an appearance in here? Excited? Well… manage that excitement. The film is very middle-of-the-road. When it hit US cinemas some hailed it a comic masterpiece, whilst others snorted with derision. I do neither, but I’d certainly say it’s more worthy of a snort than hailing it as a masterpiece. 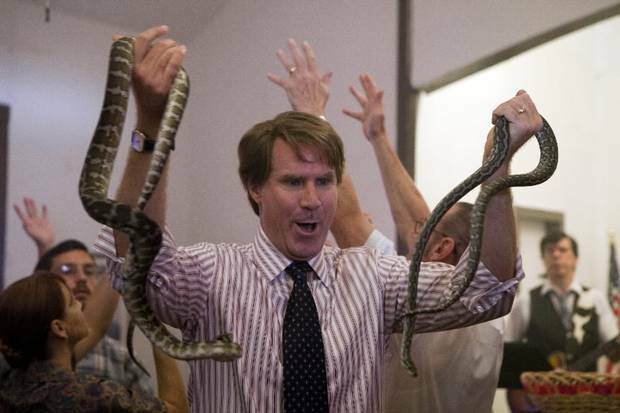 Let’s get one thing straight though: Will Ferrell has made far worse films in recent years. I know that’s not saying much, but it’s true. I’ve never really understood his appeal if I’m honest. I think Anchorman is vastly overrated and he, like Galifianakis (who I’m coming to), decides to play a very similar role time after time. This is no different. So whilst I’ve brought him up, let’s move to the second lead: Zach Galifianakis. You see, I actually do like this guy and enjoy The Hangover and Due Date – arguably his two biggest films to date. I also think his stand-up is bizarre but entertaining and his more “serious” role in It’s Kind Of A Funny Story was solidly acted and hinted at a deeper, more complex actor than you’d be led to believe. This isn’t one of those performances. Whilst I do like his schtick, Galifianakis veers very heavily towards his character from Due Date. It’s less acting and more a parody of an effeminate man from the south. It’s a bit like a sketch show if I’m honest. This might fly on Saturday Night Live, but not so much on the big screen; especially when I know the guy is capable of more than this. I would go into depth on the plot, but it’s a Will Ferrell movie… you’re not going to walk out of this movie debating the intricacies of the story, as you may have done with Looper. In fact, I’d be surprised if you walked out and uttered much more than “that was alright”. That’s essentially all that can be drawn from the film. However, one thing that’s worth mentioning is the ending. Just what is that? It’s almost as if they’d finished filming and editing and thought “you know what, why don’t we bolt on 30 seconds more footage?”. And this 30 seconds of footage is so disconnected and horribly bolted on that it’s just… weird. A very poor choice from whoever commissioned that ending. Not that it improves or destroys what had gone before, it’s just very peculiar. When all’s said and done, if you’re a Will Ferrell fan, you’ll probably already have seen this film because you’re a fan of what he does. It’s amazing how much pull that guy still has, despite the fact he’s not put out a hit in quite some time. I’m sure Anchorman 2 will do big business because of this fact alone. Me? Sure, I’ll see it, but I won’t be first in line. 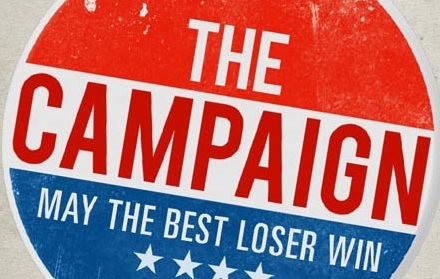 So on whether The Campaign should get your vote or not, I’d say that the verdict’s currently hung. 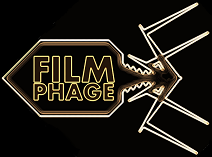 But, since Film Phage isn’t like the US political system (ie., we can’t be bought… or maybe we could if we were approached), then I’d have to stick to my guns and state that this film truly is middle of the road. There will be no recounts, there will be no re-elections and there will be no sale of the votes amassed by Florida. This entry was posted in Review and tagged Brady, comedy, Dan Akyroyd, Due Date, Huggins, parody, The Campaign, US election, votes, Will Ferrell, Zach Galifianakis. Bookmark the permalink. Funny, but not as hilarious as it should have been with two comedic heavy-weights like Zach and Will in the lead roles. Good review. Totally agree. As I say – not really a fan of Ferrell in recent years, but you’d think that with all the big names on offer that they’d conjure something more reliably funny than this. It had its moments, but they were few and far between.